Portpatrick Holiday Cottage owner Alison Smith is passionate about promoting tourism in the beautiful Rhins of Galloway in South West Scotland. We wanted to know – can businesses survive and prosper living in rural locations? What do they need to do? Alison talks holidays and media services in this enthralling radio interview. The podcasts are available further down the page. Asking the all important searching questions is renowned copywriter and regular guest show presenter Joy McCarthy. Along with her husband, she rents Kirklauchline, a self-catering holiday cottage near Portpatrick in the Rhins of Galloway. 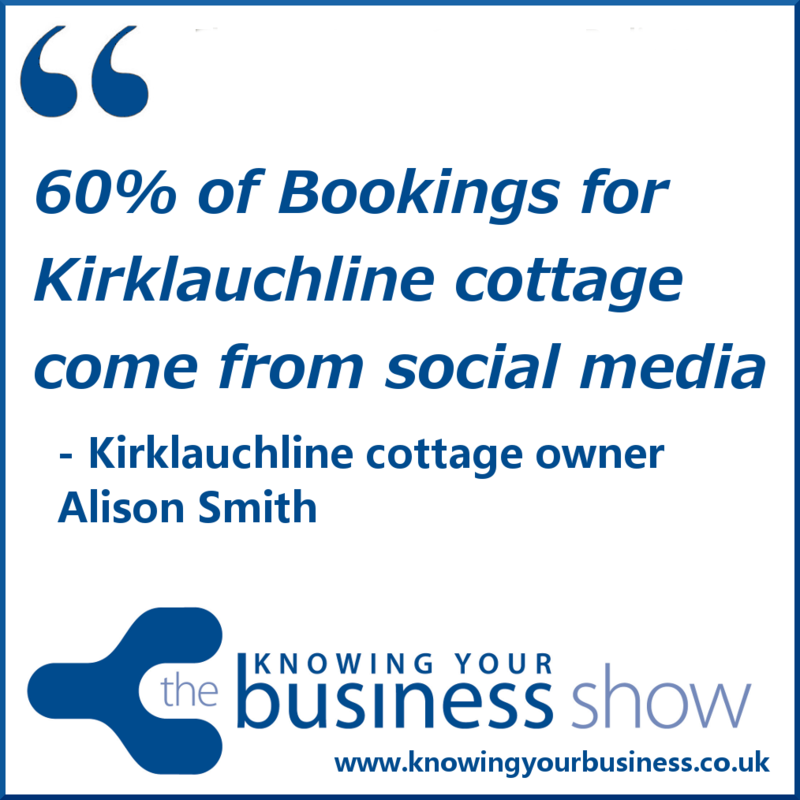 Alison and her husband began letting Kirklauchline cottage as holiday accommodation in SW Scotland in October 2010. Alison has the responsibility of marketing the cottage to potential guests and uses social media effectively to target her customers. She uses Facebook and Twitter generally and also has an interest in Pinterest and Google +. Around 60% of bookings some directly from social media. In addition, the majority of her holiday cottage website traffic comes from direct referrals from social media sites. Kirklauchline cottage is in one of the most beautiful parts of South West Scotland and bookings are now being taken for the 2014 season. 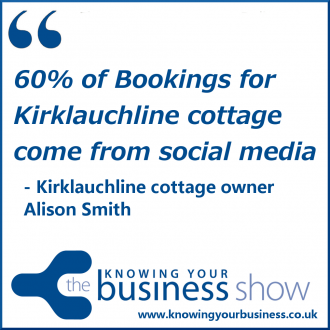 We hear in this little 1:05 second snippet how Alison started to use social media to gain bookings for Kirklauchline cottage. Now 60% come from social media. Galloway-Media advises and manages social media accounts for other business owners, develops websites and delivers local photography services. Alison specialises in working with other holiday home owners in South West Scotland and in other areas of the UK, helping them increase their holiday homes bookings. If you have a holiday home which is underperforming, speak to Alison Smith of Galloway Media about how you can increase your occupancy rates. The Knowing Your Business Show is broadcast every Thursday from 10 am until 12 noon on Radio Horton. If you have any questions for Alison or would just like to leave a comment, please do.